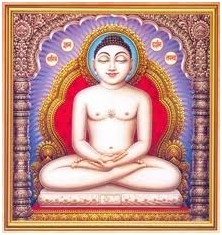 It is proposed to launch and dedicate the 1st of its kind directory of the members of Jain Samaj living in Dwarka and nearby area on the Nirvana Divas of Bhagwan Mahavira ie.on Deepavali which occurs in Harivamsha-Purana, written by Acharya Jinasena and composed in the Shaka Samvat era in the year 705. Directory which has been prepared by a very dedicated and philanthropist gentleman named Sh. R.C. Jain. This will cater the need of the members in different fields. Some changes are still to be incorporated in the present directory in order to make it up-to-date details of each and every family. In order to give a final shape of the “Jain Directory of Dwarka” all the members are requested to give any other information of their families, if not given earlier, and also send suggestions for publication of the Directory.